What Responses Should I Expect from Adults when I Engage in Activism? I was asked to make and share a video in response this question for Mobilizing Ideas and the Informing Activists video series. There are tons of great videos of social movement scholars sharing research that will be useful to organizers and activists. Check them out! This spring I wrote a short piece for Open Democracy about the movement of working children and how they seek to support them as social, political, and economic actors. Associate Professor of Latin American and Latino Studies at University of California at Santa Cruz. Ethnographer. 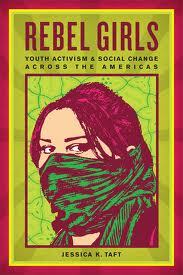 Writes about childhood and youth, social movements, globalization, and gender.